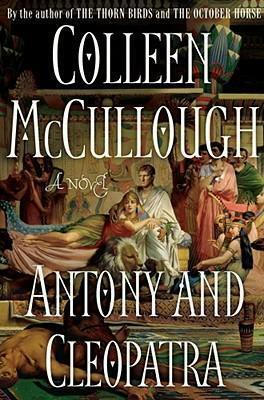 In this breathtaking follow-up to The October Horse, Colleen McCullough turns her attention to the legendary romance of Antony and Cleopatra, and in this timeless tale of love, politics, and power, proves once again that she is the best historical novelist of our time. Caesar is dead, and Rome is, again, divided. Lepidus has retreated to Africa, while Antony rules the opulent East, and Octavian claims the West, the heart of Rome, as his domain. Though this tense truce holds civil war at bay, Rome seems ripe for an emperor -- a true Julian heir to lay claim to Caesar's legacy. With the bearing of a hero, and the riches of the East at his disposal, Antony seems poised to take the prize. Like a true warrior-king, he is a seasoned general whose lust for power burns alongside a passion for women, feasts, and Chian wine. His rival, Octavian, seems a less convincing candidate: the slight, golden-haired boy is as controlled as Antony is indulgent and as cool-headed and clear-eyed as Antony is impulsive. Indeed, the two are well matched only in ambition. And though politics and war are decidedly the provinces of men in ancient Rome, women are adept at using their wits and charms to gain influence outside their traditional sphere. Cleopatra, the ruthless, golden-eyed queen, welcomes Antony to her court and her bed but keeps her heart well guarded. A ruler first and a woman second, Cleopatra has but one desire: to place her child on his father, Julius Caesar's, vacant throne. Octavian, too, has a strong woman by his side: his exquisite wife, raven-haired Livia Drusilla, who learns to wield quiet power to help her husband in his quest for ascendancy. As the plot races toward its inevitable conclusion -- with battles on land and sea -- conspiracy and murder, love and politics become irrevocably entwined. McCullough's knowledge of Roman history is detailed and extensive. Her masterful and meticulously researched narrative is filled with a cast of historical characters whose motives, passions, flaws, and insecurities are vividly imagined and expertly drawn. The grandeur of ancient Rome comes to life as a timeless human drama plays out against the dramatic backdrop of the Republic's final days.